It’s time for another addition to one of the most exciting Game of Thrones conversations on the web with this week’s episode of The Cast Beyond the Wall! I’m joined by co-hosts Daniel Stull, Austin Lucari, and special guest host Jessica Martin. In this week’s episode of the Cast Beyond the Wall, the gang discuss the shocking reveal about Jon Arryn’s poisener and it changes everything we’ve already seen unfold. 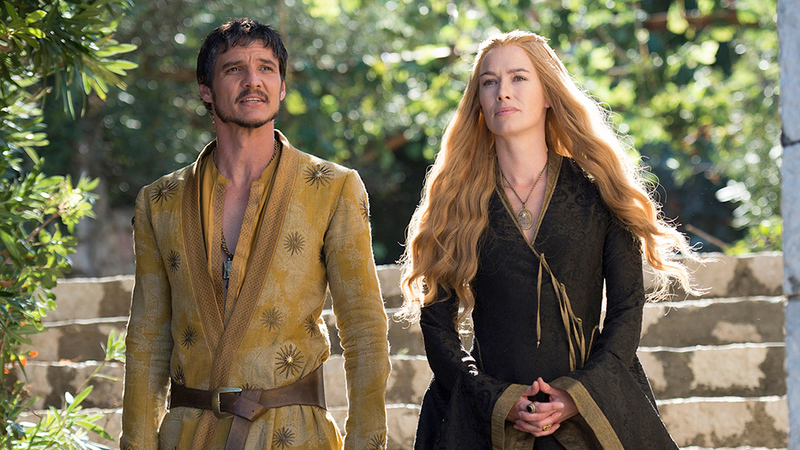 Cercei continues her political mastermining as she visits each of Tyrion’s judges before the big trial begins. Is everyone’s favorite dwarf finally backed into a corner even he can’t talk his way out of? Lastly we make sure not to miss a beat in the North’s unmapped territory as Bran and Jon come ever closer to that Stark reunion we’ll never get to have. Oh yeah, when did Jon verses Karl Tanner turn into Mortal Kombat? Tune in to hear all our thoughts and hear your questions answered! Just discovered this podcast and I’m glad I did, you guys are one of the best I’ve heard. I will say in response to Caleb I think part of the reason the Big Reveal came across as something less than mind-blowing is that by the time it was unveiled Baelish had not only been well-established as a schemer of the highest order, but Joffrey’s death had shown us there wasn’t a single person in Baelish’s orbit who should be thought untouchable by the hand of Littlefinger. We already knew he was capable of kingslaying so was unsurprising to learn he’d also taken out a King’s Hand in the past. This isn’t an unassuming guy here, this is the closest we have to a full on moustache twirler, even if he’s more like a guy who creates chaos and improvises a way to raise his position than a puppetmaster controlling everything. That and what Jessica was saying about how this feels like a politically unstable world even without Baelish’s meddling anyway, so it’s not like we’d assume the realm would be living in peaceful harmony if he hadn’t done his deed. There was already a powderkeg under the whole thing, if Littlefinger hadn’t lit the fuse someone else would have.